Andrew Pighill’s work includes outdoor kitchens, wine cellars, fire-pits, fireplaces and garden features that include follies and other whimsical structures in stone. 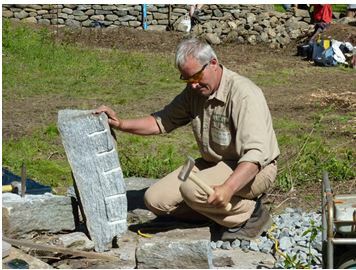 KILLINGWORTH — On April 29 and 30, from 9 a.m. to 4 p.m. daily, Andrew Pighills, master stone mason, will teach a two-day, weekend long workshop on the art of dry stone wall building at Stonewell Farm in Killingworth, CT. Participants will learn the basic principles of wall building, from establishing foundations, to the methods of dry laid (sometimes called dry-stacked) construction and ‘hearting’ the wall. This hands-on workshop will address not only the structure and principles behind wall building but also the aesthetic considerations of balance and proportion. This workshop expresses Pighill’s commitment to preserve New England’s heritage and promote and cultivate the dry stone wall building skills that will ensure the preservation of our vernacular landscape. This workshop is open to participants, 18 years of age or older, of all levels of experience. Note the workshop is limited to 16 participants, and spaces fill up quickly. At the end of the day on Saturday you’ll be hungry, tired and ready for some rest and relaxation, so the wood-fired Stone pizza oven will be fired up and beer, wine and Pizza Rustica will be served. Born in Yorkshire, England, Andrew Pighills is an accomplished stone artisan, gardener and horticulturist. 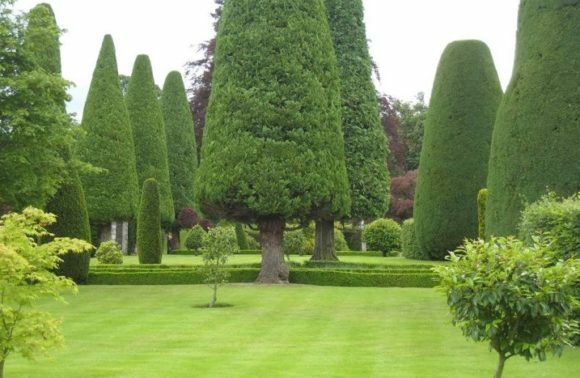 He received his formal horticulture training with The Royal Horticultural Society and has spent 40+ years creating gardens and building dry stone walls in his native England in and around the spectacular Yorkshire Dales and the English Lake District. Today, Pighills is one of a small, but dedicated group of US-based, certified, professional members of The Dry Stone Walling Association (DSWA) of Great Britain. Having moved to the United States more than 10 years ago, he now continues this venerable craft here in the US, building dry stone walls, stone structures and creating gardens throughout New England and beyond. His particular technique of building walls adheres to the ancient methods of generations of dry stone wallers in his native Yorkshire Dales. Pighills’ commitment to preserving the integrity and endurance of this traditional building art has earned him a devoted list of private and public clients here and abroad including the English National Trust, the English National Parks, and the Duke of Devonshire estates. His stone work has been featured on British and American television, in Charles McCraven’s book The Stone Primer, and Jeffrey Matz’s Midcentury Houses Today, A study of residential modernism in New Canaan Connecticut. He has featured in the N Y Times, on Martha Stewart Living radio, and in the Graham Deneen film short “Dry Stone”, as well as various media outlets both here and in the UK, including an article in the Jan/Feb 2015 issue of Yankee Magazine. Pighills is a DSWA fully qualified dry stone walling instructor. In addition to building in stone and creating gardens, Pighills teaches dry stone wall building workshops in and around New England. He is a frequent lecturer on the art of dry stone walling, and how traditional UK walling styles compare to those found in New England. His blog, Heave and Hoe; A Day in the Life of a Dry Stone Waller and Gardener, provides more information about Pighills. ESSEX — St. Luke’s Community Services, a non-profit in Middletown, is co-hosting a ‘Stop Ageism Now! forum’ at Essex Library this evening, Tuesday, Feb. 28, from 5:30 to 6:30 p.m.
Institutional practices and policies that perpetuate stereotypes about aging. Ageism is an often overlooked barrier that exists across most communities in the U.S. Ageism puts unfair limitations on older adults’ abilities to live to their fullest potential and devalues them as individuals (Source: www.stopageismnow.org). As part of the Middlesex County Gatekeeper Program mission to advocate for successful aging and independence, St. Luke’s is committed to building awareness, breaking down stereotypes and challenging attitudes to Stop Ageism Now. In the upcoming months, the organization will campaign to Stop Ageism Now as well as in the coming years work to create a culture in Middlesex County whereby the life experiences and achievements of older individuals are celebrated. Their ultimate goal is to bring back the belief that aging is a natural part of life and not a problem to be solved. Join the Middlesex Land Trust on an afternoon guided hike at one of our beautiful preserves following our annual meeting on April 29, 2017. 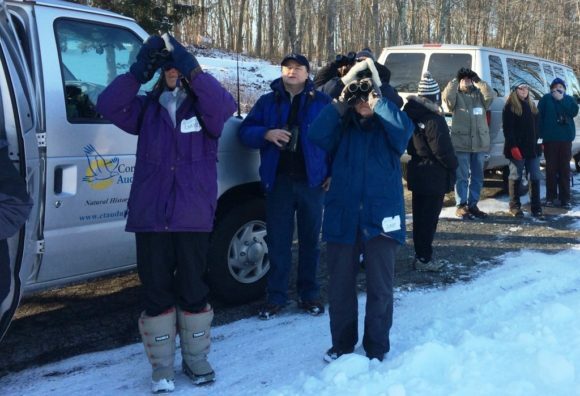 The hikes begin at 1 p.m. at the Mica Ledges Preserve in Durham and the Palmer Taylor Preserve in Portland. The Mica Ledges Preserve has marvelous views from the mica-studded ledges, great jumbles of large boulders (e.g. Pyramid Rock) and a lovely pond. Meet at the Cream Pot Road parking lot at the end of Cream Pot Road at 1 p.m. The Palmer-Taylor Preserve in Portland hike features an easy loop through the beautiful wooded Palmer-Taylor Preserve at a family-friendly pace. This trail has large rocks to climb and a scenic spot overlooking the Connecticut River. This 90-acre preserve features the historic Erinmore Barn, wooded uplands, large hay fields, two ponds and Taylor Brook on the property. Meet at the Barn at 258 Middle Haddam Road in Portland at 1 p.m.For more information on the hikes, please visit www.middlesexlandtrust.org. The hikes will follow the Middlesex Land Trust’s 2017 Annual Meeting in celebration of its 30th year and 1000th acre preserved featuring Rand Wentworth, Land Trust Alliance President Emeritus, as the special guest speaker. The meeting will take place at 9:30 a.m. on April 29, 2017 at the deKoven House located at 27 Washington Street in Middletown, CT.
A short business meeting will begin at 9:30 a.m. followed by a presentation by Rand Wentworth at 10 a.m. Wentworth will discuss the challenges, changing roles, and importance of land trusts. Rand Wentworth, visionary and effective leader for permanence of land conservation in America, was named President Emeritus of the Land Trust Alliance after a 14-year tenure as President. The mission of the Alliance is to strengthen land conservation by supporting land trusts through increased professionalism, training and education, political support, insurance and legal resources, and by building public support for land conservation across America. The Alliance is a national conservation organization that represents and supports more than 1,000 member land trusts across the country. Before joining the Alliance, Wentworth served as Vice President and founding director of the Atlanta office of the Trust for Public Land. Before working in land conservation, he was president of a commercial real estate development company. 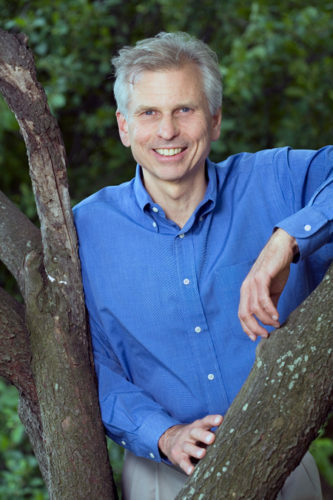 Currently, Wentworth teaches at Harvard University’s Kennedy School as the Louis Bacon Senior Fellow in Environmental Leadership at the Center for Public Leadership. Wentworth is a graduate of Yale University and holds an MBA in finance from Cornell University. 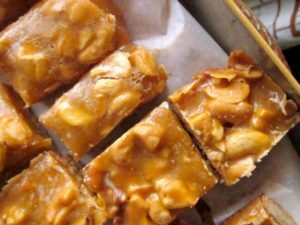 A reception and light lunch will follow with two guided hikes on land trust preserves scheduled for the afternoon. For more information or to let us know if you are coming, call us at (860) 343-7537; email us at info@middlesexlandtrust.org; or visit our website at www.middlesexlandtrust.org. Space is limited. Since 1987, the Middlesex Land Trust has been dedicated to the preservation of land for all to enjoy. Working in Cromwell, Durham, Middlefield, Middletown, East Hampton, Portland and Haddam Neck, the Middlesex Land Trust has preserved, owns and manages over 1000 acres in 52 preserves. 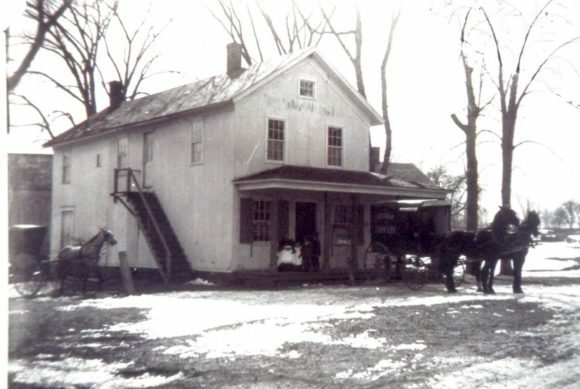 For additional information about the Middlesex Land Trust, visit www.middlesexlandtrust.org. 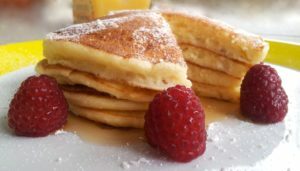 ESSEX — Because of the extraordinary challenges faced by refugees in the present climate, All Saints’ Episcopal Church in Ivoryton plans to dedicate the proceeds of its annual pancake supper, to be held on Tuesday, Feb. 28, to the Integrated Refugee and Immigrant Services of Connecticut (IRIS). This event is open to the general public and will take place at the Deep River Congregational Church, at 1 Church Street, Deep River, from 6 to 8 p.m.
Ashley Makar, the Director of Community Co-Sponsorship at IRIS and a graduate of Yale Divinity School, will speak about the organization’s work and the plight of refugees, from 6 to 6:30 p.m. followed by a pancake supper from 6:30 to 8 p.m.
Zedek, at the door, and online at https://pancakesuppertobenefitiris.eventbrite.com. If you have questions about the event or would like to volunteer services, contact John Yrchik, chair of this event, at jyrchik@comcast.net. DEEP RIVER — The Deep River Historical Society is holding a free presentation on the history of the small northwestern section of Deep River, known as Winthrop. This event is planned for Thursday, April 27, at 7 p.m. in the Carriage House on the grounds of the Stone House, 245 Main Street, Deep River. Cindi Stannard, Board Trustee and Treasurer, will present an illustrated talk on the history of Winthrop from the founding of the Baptist Church in 1744 to the present day. Several slides will be shown and the history of what they were and perhaps what they are today will entertain the guests. Anyone with stories or recollections of that period in time is encouraged to come and share. Winthrop School for Young Ladies. Part still remains today but large portion was moved to Ivoryton for residential housing and is part of Ivoryton Inn today. Winthrop has a strong history of mills and factories that established the settlement and provided a living for the local residents. CHESTER — Students and staff members at Circle of Friends Montessori, 25 West Main St., Chester, invite community members to come join in their celebration of Montessori Education Week with two special open houses. Come take a firsthand look at their child-centered, individualized approach to education, developed by Dr. Maria Montessori, the first female physician in Italy. See how multi-age groupings, a rich curriculum, and hands-on materials can benefit young children and help them to develop a lifelong love of learning. The classroom will be open on Monday, Feb. 27, from 9:30 to 11 a.m. and again on Friday, March 3, from 4 to 6 p.m.
For more information or to schedule a visit, call (860) 526-9995. Participants in this class will get an opportunity to plant their own Canadian seeds that were brought through customs and are 100 percent safe. Registration is required for this program. Space is limited. Call the library to find out more information. For more information, visit http://deepriverlibrary.accountsupport.com and click on the monthly calendar, or call the library at 860-526-6039 during service hours: Monday 1 – 8pm; Tuesday10 am – 6 pm; Wednesday 12:30 – 8 pm; Thursday and Friday 10 am – 6 pm; and Saturday 10 am – 5 pm. 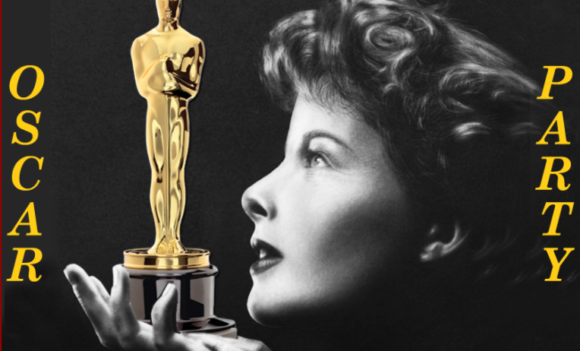 OLD SAYBROOK — The Katharine Hepburn Cultural Arts Center, The Kate, will hold a fundraising benefit on Oscar Night, this Sunday, Feb. 26, beginning at 7 p.m. and continuing until the Oscars are all awarded! The Oscar Party is The Kate’s annual red-carpet event that honors 12-time Oscar-nominated, four-time-winning theatre namesake, Katharine Hepburn, while also making for a great party. Pose for a photo or two. Bid on an auction item. Watch the Oscars live on The Kate’s gigantic screen as you indulge in delicious appetizers, treats, and beverages. Come and celebrate like a star! A few individual tickets to attend the event are still available at www.thekate.org or call 877-503-1286. Villagers in Oculoi, Uganda, collect drinking water from an unsafe source. The WELLfed event being held Friday at Centerbrook Architects will change these people’s lives by funding a well to provide them for the first time with clean drinking water. ESSEX — On Friday, Feb. 24, from 6:30 to 9 p.m., Earth2 presents their fifth WELLfed fundraiser, at Centerbrook Architects & Planners at 67 Main St., Centerbrook, Conn. Guests will wander the tasting stations, learn about the nonprofit beneficiary and well-building partner, Call To Care Uganda, and add their artistic touch to a quilt gift that will travel to Africa. In so doing, guests will let their kindness stretch across borders and fuel profound change, improve health and sanitation, inspire critical educational opportunities, and jumpstart the safety and empowerment of over 800 people of all ages in Oculoi Village in the Kaberamaido District in Uganda. In-kind donors include venue sponsor Centerbrook Architects & Planners, A Thyme To Cook, Caseus, Black Hog Brewing Co., Coastal Cooking Co., Fresh Salt at The Saybrook Point Inn, RIPE Craft Bar Juices, Wright’s Steakhouse, J Cakes, La Cuisine Catering, Cafe SoL, rental sponsor Connecticut Rental Center, Earth2, Gourmet Galley, graphic designer Julie Clements-Reagan, La Belle Aurore, Savvy Tea, SKYY Vodka, Spice Catering Group, quilt sponsor The White Dress by the Shore, Zest Fresh Pastry, and more. Chalmers recently made a pledge to help build 100 wells by the end of 2020 and WELLfed is launching other fundraising challenges, including a WELLfed Fashion event in New York City, WELLfed WEDNESDAY restaurant day on March 22 in Boston in partnership with Summits Education to build a clean water system in Haiti, and other local and national initiatives and collaborations. Event tickets are $75 per person, all-inclusive, with 100 percent of the ticket price going directly to the well build. Tickets and details are available at this link or by contacting Earth2 at Josh@earth2company.com. If you cannot attend this event and want to support the dream, donation pledges can be arranged through the same contact email and fundraise.com link. You may also contact Chalmers with questions, for more information and photos, or to join the fun as a tasting station donor. The Connecticut Fund for the Environment is the premier Connecticut-based legal defense for environmental actions. It also has the embedded bi-state organization, Save the Sound. Connecticut Fund for the Environment (“CFE”) and its bi-state program Save the Sound respectfully submit the following comments on the Tier 1 Environmental Impact Statement (“EIS”) for the NEC Future high speed rail project, specifically those portions of the EIS detailing anticipated impacts to coastal Southeastern Connecticut. CFE is a state and region-wide nonprofit organization dedicated to environmental protection and advocacy that represents more than 4,700 members in both Connecticut and New York. High speed rail is critical to the transportation future of both the Northeast region and the country. CFE is a longtime supporter of high speed rail service in the Northeast. High speed rail must be an integral component of our nation’s transportation infrastructure as the United States moves further into the Twenty-First Century. In addition to making long distance travel faster and more convenient, high speed rail can serve as a major economic driver both as the result of its construction and implementation and the transport efficiencies it will provide to business and private citizens. Accessible high speed rail is not only an efficient mass transit alternative for many citizens, but an effective way of decreasing carbon emissions produced by the transportation sector. This is of particular importance to states such as Connecticut, where the largest increasing portion of the state’s greenhouse gas output originates from motor vehicle transportation. (1) Many of Connecticut’s major highways, including I-95 and I-84, become clogged with traffic during normal commute times, increasing the potential for excessive greenhouse gas emissions and inefficient use of fossil fuels. Accordingly, alternative means of transport that would decrease congestion on Connecticut’s highways in major travel corridors are a necessary and much needed public objective. Given the environmental benefits of high speed rail overall, CFE strongly supports proposals to make high speed rail a reality for commuters along the Northeast Corridor. It must, however, been done properly. The current NEC Future EIS provides such scant detail about potential site-specific environmental impacts that CFE is compelled to request that Federal Railroad Administration (“FRA”) conduct a much more thorough analysis prior to making any committed decisions regarding the NEC Future project. In its current form, the EIS fails to provide any substantive information from which citizens can draw conclusions regarding the potential environmental impacts of the preferred alternative. As a threshold matter, CFE questions whether FRA and the Department of Transportation (“DOT”) have conducted a sufficient analysis in making the determination that the preferred alternative evaluated the Tier 1 EIS is the most feasible alternative to be pursued in order to increase rail speed along the Northeast Corridor. In regard to Connecticut, the preferred alternative entails following the existing rail corridor with a new track segment from Old Saybrook, Connecticut to Kenyon, Rhode Island and rail improvements to existing track from New Haven, Connecticut to Springfield, Massachusetts. Without meaningful environmental analysis, however, it is impossible to evaluate whether the preferred alternative is, in fact, the best alternative. In selecting a preferred alternative so early in the process, FRA risks committing a large volume of resources to pursuing an alternative that may, ultimately, be impractical or unduly expensive to implement on the ground. This is particularly so given the preferred alternative at issue, which entails routing a new section of rail through a densely populated portion of the state and includes formidable infrastructure elements, such as a tunnel beneath the Connecticut River, discussed in greater length below. In electing to proceed along the existing coastal rail corridor, CFE is concerned that FRA may have selected convenience at the expense of overall benefit. Although FRA presumably conducted these analyses, the Tier 1 EIS contains very little comparative evaluation of the preferred alternative against the details of some of the other proposed routes through Connecticut. For example, there is no comparison between the Hartford route and the coastal route. Likewise, the EIS does not explore potential issues that may arise in regard to each alternative, such as the difficulty of blazing a brand new segment of rail through rural eastern Connecticut or the potential for the Connecticut River tunnel to be unworkable and replaced with the earlier proposal of an elevated rail bridge. As FRA prepares its final record of decision, CFE urges FRA to seriously explore the pros and cons of the preferred alternative against the routes in some of the other proposals. In regard to the preferred alternative as it stands in the Tier 1 EIS, CFE expresses serious concerns about the level of analysis conducted with respect to the proposed new rail bypass between Old Saybrook and Kenyon. (2) In addition to constructing a new segment of rail through a heavily populated and historic portion of the state, the EIS proposes constructing a rail tunnel beneath the Connecticut River estuary. (3) The EIS, however, is devoid of any details or feasibility analyses of such a tunnel. Indeed, there is little that can be determined from the EIS beyond the fact that the preferred alternative contains a tunnel beneath the Connecticut River in Old Lyme, Connecticut. There is no information concerning the design of such a tunnel, whether a tunnel is even feasible in the proposed location, how the tunnel will impact the Connecticut River riverbed, or the presumably extensive environmental impacts that will occur when constructing a subsurface tunnel beneath the largest river estuary in the region. Although the tunnel was ostensibly proposed in order to ameliorate the concerns that the public had with an elevated rail bridge being constructed through the heart of a historic downtown area, as the NEC Future project originally proposed, the lack of meaningful detail about the impacts of constructing such a tunnel leaves open the possibility that will ultimately prove so burdensome and destructive that FRA will fall back on its original rail bridge proposal. CFE recognizes that the current document is programmatic in scale,(4) yet the analysis of the preferred alternative provides the public with no information other than the fact that FRA anticipates constructing a tunnel and a line on a map where the tunnel will ostensibly be located. (5) Although site specific impacts are relegated to Tier 2 in a tiered EIS process, the decision to do so in the present case leaves numerous communities and citizens in utter uncertainty as to the specifics of FRA’s exact plans in regard to the Old Saybrook-Kenyon bypass. As courts have recognized in the context of other Tiered EIS projects, the broad nature of review at the Tier 1 stage can result in serious ongoing implementation and impact problems at Tier 2 and thereafter. (6) Given the lack of precise detail about the proposed tunnel at this stage, there is a risk that when rigorous analysis of the tunnel occurs during Tier 2, FRA will encounter potential impacts that would have best been evaluated—and perhaps avoided—earlier. For example, given the information present in the current EIS, it is impossible to know the exact manner in which the tunnel will affect the immediate river environment. The EIS does not state whether the tunnel will be through bedrock below the river or a structure along the river bottom or some other alternative. The Connecticut River estuary is unique among the region’s estuaries because of its extensive wetland and habitat resources. 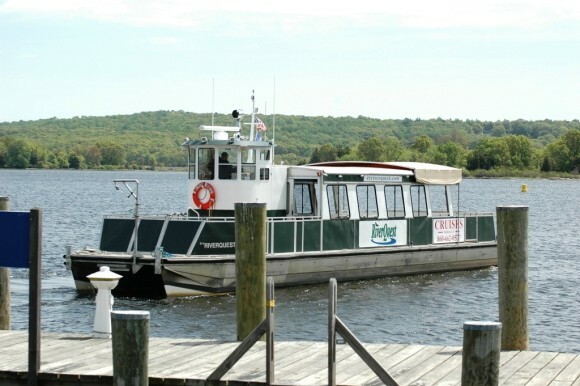 (7) A tunnel has the potential to seriously disrupt the Connecticut River’s natural flow into Long Island Sound and will likely affect the deposition patterns of nutrient rich sediments that flow into the estuary from further upstream. Likewise, if the proposed tunnel’s construction will disrupt the layers of sediment already present on the river bottom, such disruption will have the inevitable effect of unearthing pollutants that have become sealed off by more recent sediment deposition and reintroducing them into the water column, in effect repolluting the ecosystem with old pollutants. Yet none of these details or contingencies are addressed in the Tier 1 EIS, but relegated to later analysis at Tier 2. Similarly, the Tier 1 EIS does not adequately address the physical impacts that would presumably occur on lands adjacent to the tunnel beneath the Connecticut River. The EIS, for example, is bereft of any meaningful analysis of the potential impacts on the invaluable wetlands that flank the Connecticut River estuary. As previously mentioned, the installation of a rail tunnel on the bottom of the river could, depending on its design and depth, potentially disrupt the historic flow patterns of the Connecticut River, which in turn could lead to the loss of wetlands. Likewise, the actual construction of the tunnel descent on the lands abutting the riverbank could negatively impact or destroy wetlands. Losing wetland acreage in a high population area such as coastal Southeastern Connecticut is a dangerous proposition, given the increased risk of shoreline flooding as climate change ushers in rising sea levels and more frequent extreme weather events. Given the level of detail in the EIS, however, it is uncertain as to whether any such impacts will occur or how extensive they may be. Due to the high risk that harm to wetland resources may ensue, such analysis should not be delayed to a subsequent stage of the administrative process. Additionally, the Tier 1 EIS delays appropriate analysis of potential impacts to endangered and threatened species until the Tier 2 stage. 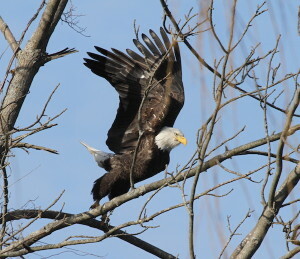 (8) As is widely recognized, the Connecticut River estuary serves as invaluable habitat to a large number of species. For example, the estuary is noted as possessing one of the highest diversities of fish species in the Northeast. (9) Likewise, the estuary and river corridor serve as an important resource for numerous migratory bird species. (10) As the EIS notes, many federally endangered species are currently present in the very local ecosystem to be affected, including the Roseate Tern (Sterna dougallii), Atlantic Sturgeon (Acipenser oxyrinchus), Shortnose Sturgeon (Acipenser brevirostrum), and several species of sea turtle. (11) As a practical matter, putting off the site specific analysis of impacts to endangered species can result in numerous problems either at Tier 2 or during project implementation, should an endangered species stand in the path of the tunnel’s proposed route. 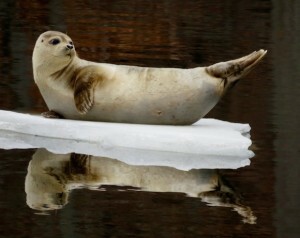 (12) The risk of such an occurrence is high, for as the EIS recognizes, Connecticut contains the highest number of endangered and threatened species of all states impact by the overall project. (13) At that point, irretrievable resources and time will have been needlessly spent in vain when an earlier analysis could have avoided such a problem while safeguarding habitat. CFE also notes its grave concern regarding the earlier proposal for an elevated rail bridge over the Connecticut River that would direct the route of the new spur through the heart of historic Old Lyme and nearby cultural sites such as the Florence Griswold Museum. As the preparation of an environmental impact statement requires the sponsoring agency to consider the effects on the “human environment,” the health and quality of life in communities directly affected by a massive project such as NEC Future should be of paramount importance in FRA’s decision making. Should the Connecticut River tunnel ultimately prove unworkable or overly expensive, CFE shares the concerns of many citizens that FRA will implement the original rail bridge proposal instead, thereby subjecting a historic town center to irreparable damage and a diminution in aesthetic and environmental value. If there is even a remote possibility that FRA may ultimately implement a rail bridge over the Connecticut River as an alternate aspect of the new spur, it must fully present and analyze the expected environmental impacts at the current stage of the process so that the public may be fully and adequately informed of such a possibility. Overall, CFE recognizes that the NEC Future project is one of enormous scale. Although a Tier 1 EIS is intended to be programmatic in scale, the current document provides directly affected communities and stakeholders with only the merest indications and suppositions as to what actual impacts will entail. In terms of the preferred alternative’s Old Saybrook-Kenyon spur and the subsurface tunnel included therein, the lack of concrete detail leaves local communities in a state of uncertainty as to what such a massive infrastructure project will mean in terms of impacts on the human environment and nearby ecosystem resources. As it is entirely possible that a yet unforeseen environmental impact will prevent actual implementation of the preferred alternative as presented, affected communities and the public are justly concerned that a subsequent, on the ground decision will result in earlier aspects of the proposed project being spontaneously resurrected as a means of quickly avoiding a major environmental impact and moving ahead with the project without additional delay. Given the importance of high speed rail to the future, it is necessary that the environmental impacts of any proposal are fully evaluated and understood by all stakeholders prior to moving forward. 1 Acadia Center, “Updated Greenhouse Gas Emissions Inventory for Connecticut: Recent Increases and Underlying Factors,” (June 13, 2016), available at http://acadiacenter.org/wp-content/uploads/2016/06/CT-GHG-EmissionsInventory-Report-2.pdf (last visited Sept. 9, 2016). 2 Federal Railroad Administration, “Tier 1 Draft Environmental Impact Statement,” Appendix A, 40–41 (Nov. 2016), available at http://www.necfuture.com/pdfs/tier1_deis/appendix/app_a.pdf (last visited Jan. 30, 2017). 4 American Association of State Highway and Transportation Officials, “Guidelines on the Use of Tiered Environmental Impact Statements for Transportation Projects,” 3 (June 2009); see Ilio’ulaokalani Coalition v. Rumsfeld, 464 F.3d 1083, 1094 (9th Cir. 2006). 5 Federal Railroad Administration, supra note 2. 6 See Hoosier Environmental Council v. U.S. Dept. of Transp., 2007 WL 4302642, *7 (S.D. Ind. Dec. 10, 2007). 7 Jenna Pirotta, “Connecticut River Estuary: Haven for Juvenile Fish and Migratory Fish Highway,” N.O.A.A. FISHERIES GREATER ATLANTIC REGION, available at https://www.greateratlantic.fisheries.noaa.gov/stories/2012/haven_for_juvenile_fish_and_migratory_fish_highway.h tml (last visited Jan. 30, 2017). 8 Federal Railroad Administration, supra note 2, at 7.6-9. 9 Glenn D. Dreyer and Marcianna Caplis, “Living Resources and Habitats of the Lower Connecticut River,” 56 (Dec. 2001), available at http://digitalcommons.conncoll.edu/cgi/viewcontent.cgi?article=1037&context=arbbulletins (last visited Jan. 26, 2017). 11 Federal Railroad Administration, supra note 2, at 7.6-5. 12 See generally Tennessee Valley Authority v. Hill, 437 U.S. 153, 98 S.Ct. 2279, 57 L.Ed.2d 117 (1978). 13 Federal Railroad Administration, supra note 2, at 7.6-3. OLD SAYBROOK — The Estuary Council of Seniors 220 Main St. Old Saybrook has partnered with Rehab Concepts physical therapy to offer a free class to those folks living with Parkinson’s disease. The Class meets Mondays at 1 p.m. and offers participants the opportunity to, boost confidence, and focus all your senses on movement and balance. 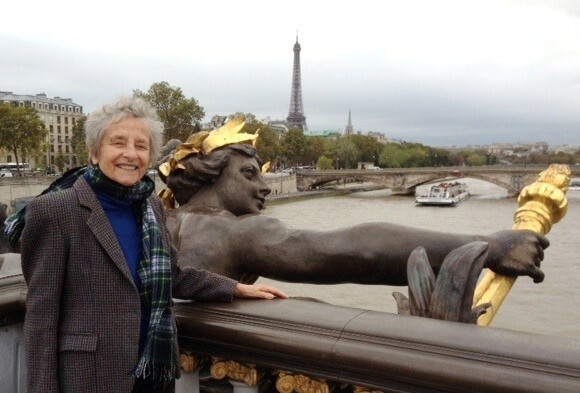 The class instructor is Rose Costanzo, a physical therapist who specializes in Parkinson’s therapy. The class is designed for individuals who find it a challenge to get up and down from the floor in a yoga class. You will use a chair, yoga mat and other props to enable safe adaptations of yoga poses that will help build confidence, strength and flexibility. Street entertainers delight the crowds at the Chester Carnivale. File photo by John Stack. 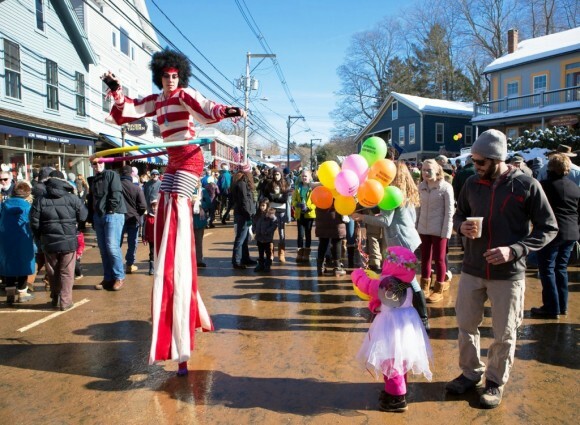 CHESTER — The townspeople of Chester are looking forward to their 26th annual winter celebration, Chester Winter Carnivale, on Sunday, Feb. 19. That’s when the picturesque small town of Chester is filled with people cheering on ice carvers as they create beautiful sculptures from blocks of ice, while laughing at the antics of street performers and applauding a long parade of new and antique tractors being driven down Main Street by their proud owners. All that, and food, music, art, and shopping too! Bill Bernhart stands proudly beside his ice carving at the Chester Carnivale in this 2012 file photo by John Stack. 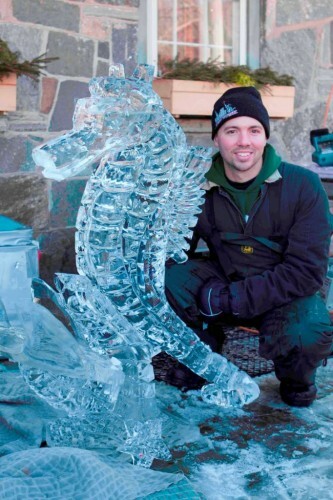 The day begins at 10:30 a.m. when the carvers get started on their ice sculptures. Both professional and student ice carvers will be hard at work, demonstrating their techniques to onlookers while they try to be finished by 1 p.m. for judging. Meanwhile, the Chester Hose Company, Inc. is holding its annual “Chilly Chili Cook Off” fundraiser. From 11 a.m. to 1 p.m., go to the Chester Hose Company Fire House at 6 High Street and pay your $5 admission so you can taste all the different chilis cooked and dished out by restaurants, caterers and fire departments. You can vote for your favorite fire department chili, favorite restaurant chili, most original chili, and best dressed chili serving table. Beverages will be sold. All proceeds go to the Chester Hose Company. Still hungry? Pizza, hamburgers, hot dogs, sandwiches, soups, and lots more will all be available inside and outside the restaurants in town. Also, popcorn and kettle corn. 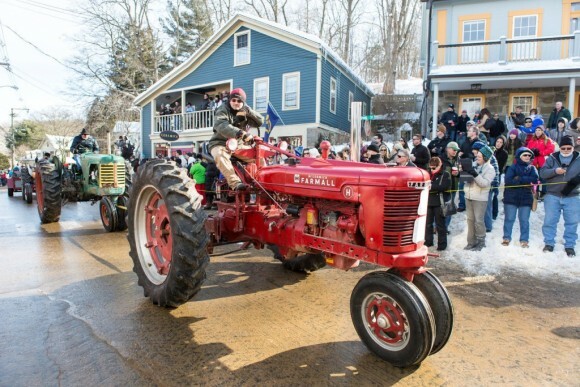 Just be sure to be back out on Main Street by 2 p.m. for the 15th Annual Chester Tractor Parade. 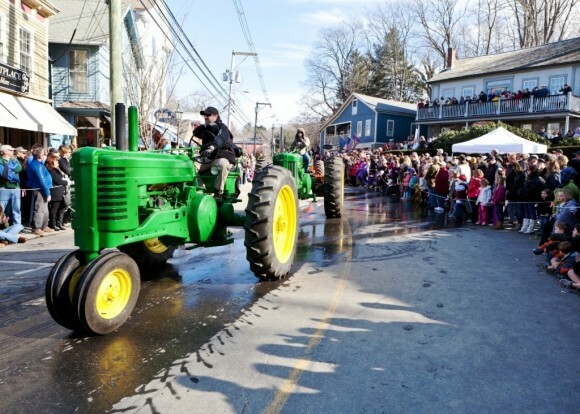 Colorful and rusty, big and small, antique and new, decorated and plain – tractors are driven through the town center in an incredibly long parade. You never knew there were so many tractors in the Connecticut River Valley! Free activities will keep the whole family entertained for the day. Colorful beads and balloons will be handed out throughout town all day and face painting is available. The Chester Museum at The Mill will be open at no charge, offering a place to explore Chester history. Galleries and shops will be open, many with special events. Chester Winter Carnivale is held rain or snow or shine. Main Street will be closed to traffic. Free parking is available in the commuter lot on Rte. 148 at the foot of Rte. 9 and in the Roto-Frank parking lot on Inspiration Lane (exit 6) and at Greenwald Industries on Rte. 154 (212 Middlesex Avenue). (Follow the signs.) All lots will be served by courtesy shuttle buses to the town center. Tractor Parade at a previous year’s Chester Carnivale. File photo by John Stack. Essex Winter Series Artistic Director Mihae Lee. ESSEX — Known for its unique concerts of world-class talent and diversity, Essex Winter Series plans to celebrate its 40th anniversary year with a robust schedule for the winter months. 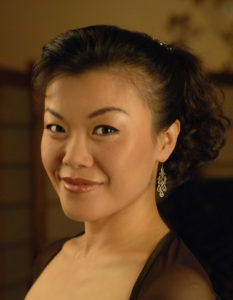 The season-opener on Sunday, Jan. 8, at 3 p.m. at Valley Regional High School in Deep River is a musical tour de force led by Artistic Director and pianist Mihae Lee. Lee has carefully curated a program featuring breathtaking music that spans over 600 years. 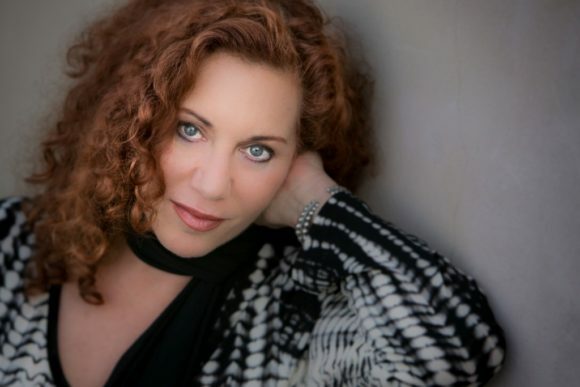 She will be joined by audience favorites William Purvis, Patricia Schuman, Randall Hodgkinson, the Attacca Quartet, as well as emerging young artists. The concert begins with a celebratory fanfare of Copland, then a high spirited string quartet by Haydn, wonderful cabaret songs and jazz ballads. The first half ends with the ultimate crowd-pleaser, Gershwin’s Rhapsody in Blue arranged for piano four-hands and performed by Ms. Lee and Mr. Hodgkinson. The second half begins with beautiful Renaissance music for brass, then an aria from the opera Carmen and the finale movement of Brahms Piano Quartet in G minor, both in a passionate gypsy style. The concert will end with a bang with hot jazz performed by Jeff Barnhart, Vince Giordano, Paul Midiri, Joe Midiri, and Jim Lawlor. The season continues on Feb. 19 with the Stu Ingersoll Jazz Concert featuring Dan Levinson’s Roof Garden Jass Band performing a centennial celebration of recorded New Orleans Jazz. On March 5, it’s Garrison Keillor and “Stories in Mind, Poems by Heart.” The beloved raconteur, author, and entertainer will share his unique brand of wisdom and humor in what is sure to be an unforgettable afternoon. The 2017 season is generously sponsored by The Clark Group, Essex Meadows, Essex Savings Bank, Guilford Savings Bank, Jeffrey N. Mehler CFP LLC, and Tower Laboratories. Outreach activities are supported by Community Music School and donors to the Fenton Brown Circle. 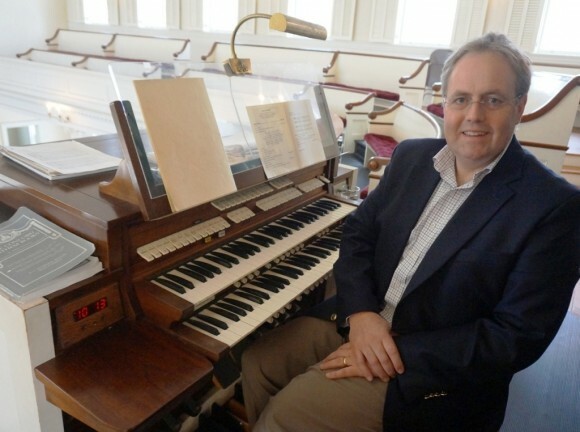 Salt Marsh Opera Executive Director Simon Holt is a participant in the discussion ‘A Conversation About Opera,’ Feb. 16, at the Community Music School. The Greater Middletown Concert Association is hosting the panel discussion and Barbara Waterman Arafeh, the Association’s president, will be moderator for the panel’s discussion. All these three leading Connecticut professional opera companies present fully-staged productions that take place in venues located in one of the state’s newly-designated Arts Regions. This region is one of nine in the state and is overseen for the Connecticut Office of the Arts in Hartford by the Shoreline Arts Alliance, which has headquarters in Guilford. Towns and cities in this Arts Region are Lyme and Old Lyme along with Branford, Chester, Clinton, Cromwell, Deep River, Durham, East Haddam, East Hampton, East Haven, East Lyme, Essex, Guilford, Haddam, Killingworth, Madison, Middlefield, Middletown, North Branford, Old Saybrook, Portland, Salem and Westbrook. There is no admission charge for this Feb. 16, program, but those wishing to attend should call 860 343-7555 to reserve seating. Space is limited. The Community Music School is located at 90 Main St., Centerbrook. Rep. Bob Siegrist testifies during a Public Hearing about invasive species. HARTFORD – State Rep. Bob Siegrist (R-36) recently testified during a public hearing regarding a proposal that he co-sponsored, namely House Bill 5503, An Act Concerning Lake Authorities and Combating Invasive Plant and Animal Species. Siegrist asked that the legislation be amended to assist local towns like Chester. Under current law, 25 percent of Community Investment Account funds within the Department of Energy and Environmental Protection can be used for municipal open space grants. House Bill 5503 would provide grants to lake authorities for the control of invasive species. Rep. Siegrist is in full support of House Bill 5503, but suggests that the bill be amended to allow municipalities access to the grants to combat invasive species. “Current law states that two or more towns that have a body of water of state water within their territory can establish a lake authority. Cedar Lake in Chester is wholly within the Town of Chester. The problem in Cedar Lake is similar to what many lakes are dealing with — invasive species,” Siegrist said. 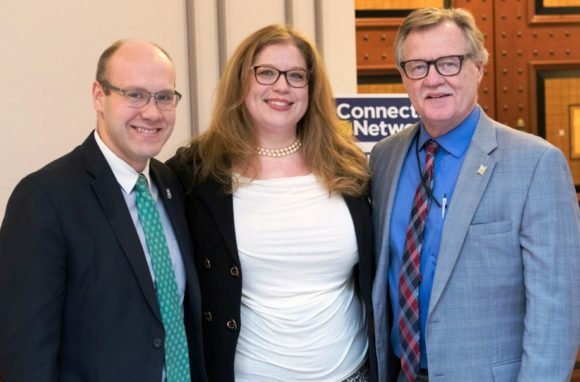 Rep. Carney (left), The Kate’s Director of Development Dana Foster (center), and Paul Formica (right) at the Jan. 29 public hearing on the proposal to install signs for The Kate on local highways. OLD SAYBROOK -– Old Saybrook lawmakers are urging the state legislature to help support the Katharine Hepburn Cultural Arts Center (‘The Kate’) by passing legislation that would allow tourism signage for the center to be placed on Rte. 9 and I-95. Sen. Paul Formica (R-20th), Sen. Art Linares (R-33rd) and Rep. Devin Carney (R-23rd) submitted testimony in favor of House Bill 5574 and spoke before the Transportation Committee to urge fellow lawmakers to support the local theater. ‘The Kate’ is a theater in the Town of Old Saybrook that provides entertainment for the region and is named for Connecticut Hall-of-Famer, multiple Academy Award winner, and former Old Saybrook resident Katharine Hepburn. Sen. Formica and Dana Foster, Director of Development and External Relations at The Kate, testify before the Transportation Committee in favor of House Bill 5574 An Act Concerning Signs Indication the Location of the Katharine Hepburn Cultural Arts Center. Sen. Formica testified in person with Dana Foster, Director of Development and External Relations, at ‘The Kate,’ on Jan. 31, before the Transportation Committee on which Rep. Carney is a ranking member. AREAWIDE — The Southeast Connecticut World Affairs Council (SECWAC) hosts the president of the United States Institute for Peace (USIP), Nancy Lindborg on Wednesday, Feb. 15, at 6 p.m. She will speak on “Building Peace in a Fragile World” at the Saybrook Point Inn USIP is an independent institute founded by Congress in 1984 to provide practical solutions for preventing and resolving violent conflicts around the world. The event will take place at 6 pm, Wednesday, Feb. 15, at the Saybrook Point Inn in Old Saybrook. It will be preceded by a 5:30 pm reception. 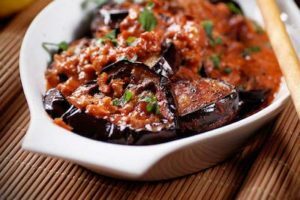 Immediately following the presentation, SECWAC members with reservations (made by Friday February 10th) will reconvene for dinner ($35) at the Inn. Lindborg has spent most of her career working in fragile and conflict-affected areas around the world. 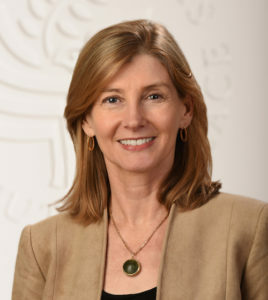 Prior to joining USIP, she served as the assistant administrator for the Bureau for Democracy, Conflict and Humanitarian Assistance (DCHA) at USAID. 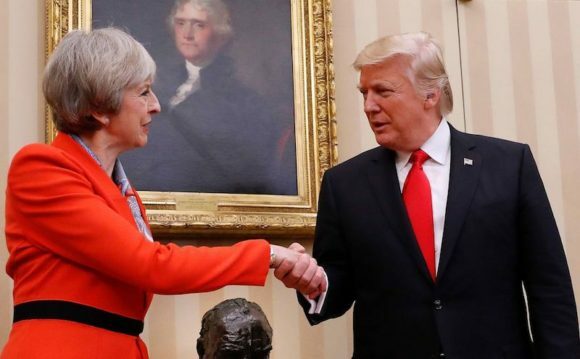 There, she led DCHA teams that responded to the Syria Crisis, the droughts in Sahel and Horn of Africa, the Arab Spring, the Ebola outbreak and other global crises. Prior to that, Lindborg was president of Mercy Corps, the globally respected organization known for its innovative programs in the most challenging environments. She has held a number of leadership and board positions, including serving as co-president of the board of directors for the U.S. Global Leadership Coalition; and cofounder and board member of the National Committee on North Korea. She is a member of Council on Foreign Relations. She holds a B.A and M.A. in English Literature from Stanford University, and an M.A. in Public Administration from the John F. Kennedy School of Government at Harvard University. 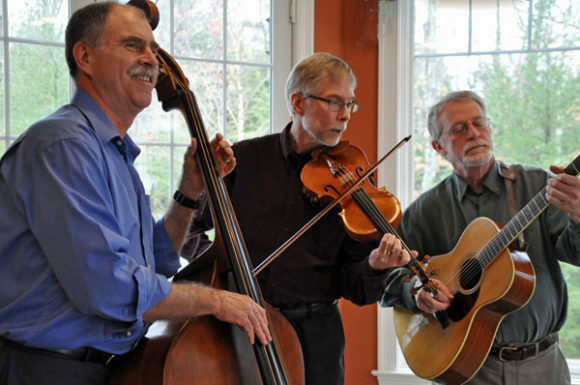 The Lost Acres String Band performs Sunday at the Spring Street Studio. CHESTER — 02/12 UPDATE: THIS CONCERT HAS BEEN CANCELLED DUE TO THE IMPENDING WINTER STORM. Leif Nilsson hosts a Sunday night ‘Concert in the Garden,’ Feb. 12, from 4 to 6 p.m., featuring The Lost Acres String Band inside the Gallery at the Spring Street Studio at 1 Spring St, Chester Center. The Lost Acres String Band serves up a flavorful mixture of songs and instrumentals from a wide variety of musical traditions with the added spice of several exotic original compositions. A typical show includes blues, Gypsy jazz, old-time and contemporary fiddle tunes, a haunting Hispanic ballad from the old Southwest, a classic number by The Mississippi Sheiks, and swing tunes from the 1930s. After study of Western classical and South Indian classical violin, since 1975 Gordon Swift has been playing fiddle, electric violin, and baritone violectra in bands ranging from jazz-rock fusion to reggae to country-and-western. Gordon holds a Ph.D. in ethnomusicology from Wesleyan University and blends musical influences from around the world into a distinctively American violin/fiddle style. He organized LASB in 2008 and writes the band’s original material. Master guitarist Paul Howard is a long-time member of the CT Americana/string band Last Fair Deal, with whom he has recorded four albums. Paul runs Valley Music School in Avon, CT and is a founding faculty member of the National Guitar Workshop with five music instruction books to his credit. Paul is an eclectic guitarist bringing influences from swing, old-time, bluegrass, and folk/rock music; he’s also an accomplished vocalist. Jon Swift (Gordon’s brother) is a veteran of the New England bluegrass and roots music scene. He was a founding member of the popular bluegrass band Traver Hollow, playing bass and singing with the group for 13 years. He has also sung and played bass or acoustic guitar in several other groups (currently BluesGrass and Deep Ellum) as well as performing solo. Appearing here on upright bass, Jon lays down a solid foundation for the band. “Impossible to pigeonhole…an unpretentious mood-booster…ranging confidently through several different styles, all handled with aplomb,” says Grammy-winner Stacy Phillips about the band in Fiddler magazine. A $20 donation is appreciated. The event is BYOB – pack a picnic and buy your own wine or beer at the Chester Package Store across the street. 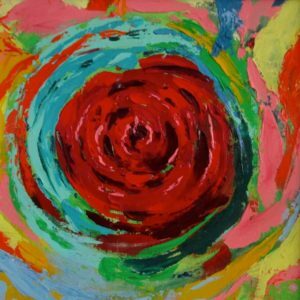 Vivid swirling brushstrokes by abstract artist Lesley Koenig compose this dynamic acrylic painting of a single red rose, surrounded by luscious bursts of bright pink, yellow, blue, orange and green. CHESTER – In celebration of Valentines, mimosas and chocolates will be served to visitors at Maple and Main Gallery Sunday, Feb. 12, from 11 a.m. to 3 p.m. The gallery has a large selection of small paintings at reasonable prices which would make perfect and unique Valentine’s gifts. The annual Juried Show and Winter Exhibit are on display representing new work by over 80 artists in a variety of styles and medium. Maple and Main, at One Maple Street, is open Wednesday and Thursday from noon to 6 p.m., Friday from noon to 7 p.m.; Saturday, from 11 a.m. to 7 p.m. and Sunday, 11 a.m. to 6 p.m. Mapleandmaingallery.com; 860-526-6065. Visit the gallery on facebook. Photo courtesy of Robin Breeding. 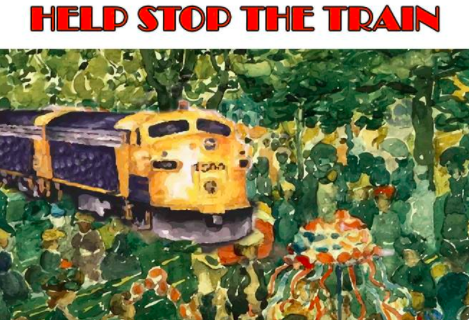 AREAWIDE — A protest rally against the Federal Rail Administration’s proposed high speed rail route through southeastern Connecticut will be held this Saturday, Feb. 11, from 10 a.m. to 12 p.m. at Olde Mistick Village, 27 Coogan Blvd, Mystic, CT. The meeting point for the rally is the Caboose in the north end of the parking lot. US Senator Richard Blumenthal, US Representative Joe Courtney (2nd District), State Sen. Heather Somers (R-18th), State Sen. Paul Formica (R-20th), State Rep. Devin Carney (R-23rd), Old Lyme First Selectwoman Bonnie Reemsnyder, Stonington First Selectman Rob Simmons, and Greg Stroud of SECoast and CT Trust are all planning to join the protest. Stroud is the founder of the non-profit SECoast, which has worked tirelessly to research all aspects of the proposed bypass and campaign objectively against them. Organizers of the rally include Olde Mistick Village, Westerly Chamber of Commerce, Mystic Chamber of Commerce and many more. A winter wonderland. Photo by Jerome Wilson. AREAWIDE — Winter Storm Niko pounded the Tri-Town region yesterday dropping some 12 inches of heavy, wet snow, thus creating some challenging snow-clearing. 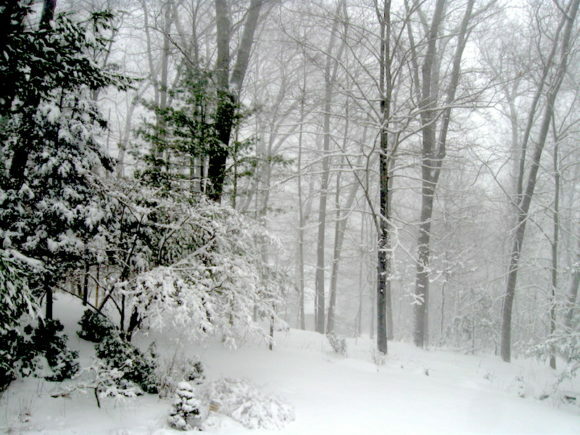 It also created some picture-perfect snow scenes like the one captured above. 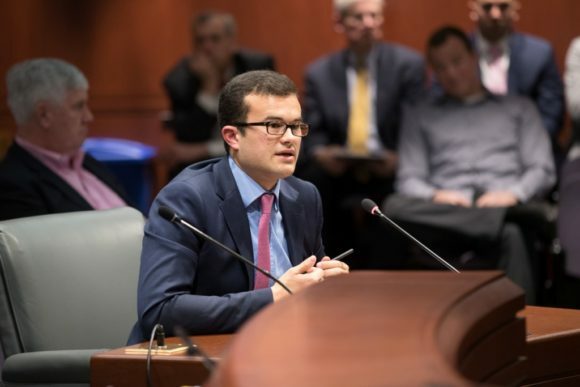 State Representative Bob Siegrist (R-36) issued the following statement in response to the Fiscal Year 2018 – 2019 Biennial Budget Address that Governor Dannel P. Malloy presented Feb. 8 to the General Assembly. State Rep. Bob Siegrist represents Chester, Deep River, Essex and Haddam. 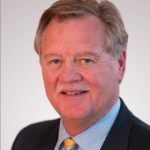 He is a member of the General Assembly’s Insurance, Public Safety and Veterans’ Affairs. UPDATED 12:17am: (in red italics): Tomorrow, the legislature’s Transportation Committee is hosting a public hearing on various transportation issues, including three bills related to the Federal Rail Authority’s (FRA) proposed bypass through southeastern Connecticut. 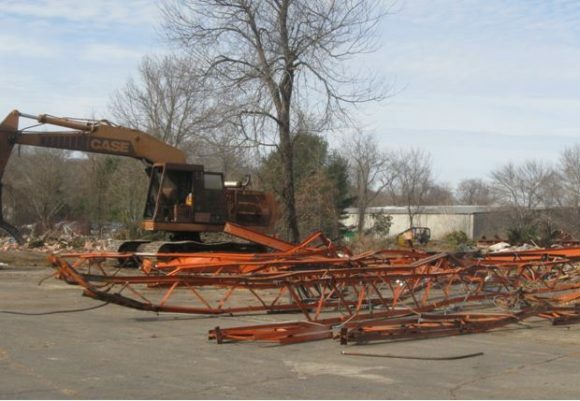 The first objects to the proposal to build a new high speed railroad bypass through southeastern Connecticut. The second requires municipal approval by town referendum for such a scheme to move forward and the third prohibits the state from spending any funds on such a proposal unless it has received municipal approval. Carney represents the 23rd district, which encompasses the towns of Lyme, Old Lyme, Old Saybrook and a portion of Westbrook. 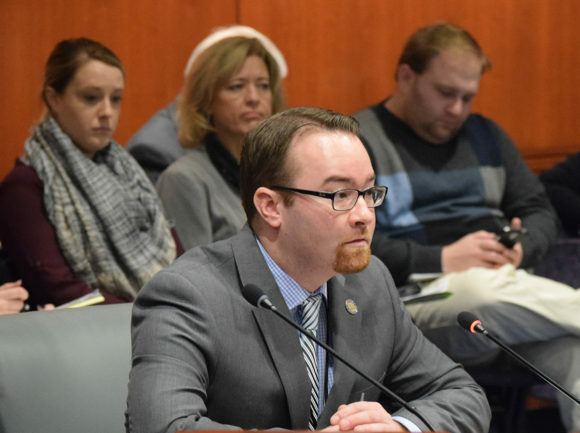 The Committee will hold a public hearing on a variety of bills including three mentioned above and described in more detail below that State Rep. Carney and State Senator Paul Formica (R-20th) drafted. The hearing will give individuals the opportunity to speak about a number of transportation concerns facing the state. This bill proposal objects to the proposal by the FRA regarding construction of a bypass on the Northeast Corridor rail line between Old Saybrook, Connecticut to Kenyon, Rhode Island through the scenic and historic towns of southeast Connecticut. This bill proposal pairs with SB 253 in that it prohibits the state from expending funds on rail projects that did not receive municipal approval through a referendum. For information on how to testify visit: https://www.cga.ct.gov/asp/content/yourvoice.asp. Email written testimony in Word or PDF format to TRAtestimony@cga.ct.gov. Anyone with questions about bills or the public hearing process can contact Rep. Carney’s office at (800) 842-1423 or by email to Devin.Carney@housegop.ct.gov. 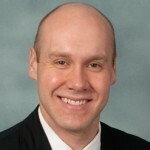 AREAWIDE — State Rep. Robert Siegrist (R-36) has announced that he will be holding coffee hours during the coming weeks throughout the 36th District in an effort to meet with residents and listen to their concerns. The public is invited to attend any of the scheduled ‘District Coffee Hours’ events to meet with Rep. Siegrist in a relaxed setting and discuss any issues they wish to speak about, including the latest updates from the State Capitol. Residents are encouraged to ask any questions about state or local issues, including proposed legislation. Those unable to attend an event but would like to speak with Rep. Siegrist may email Robert.Siegrist@housegop.ct.gov or call (860) 240-8700. Check www.RepSiegrist.com for any cancellations prior to the scheduled event. ESSEX — Mary McAuliffe vividly portrays the City of Light during the fabulous 1920s, Les Années Folles, when Parisians emerged from the horrors of war to find that a new world greeted them one that reverberated with the metallic clang of the assembly line, the roar of automobiles, and the beat of jazz. On Saturday, Feb. 4, at 1:30 p.m. at the Essex Library, McAuliffe will outline this decade that saw seismic change on almost every front, from art and architecture to music, literature, fashion, entertainment, transportation, and, most notably, behavior. The epicenter of all this creativity, as well as of the era’s good times, was Montparnasse, where impoverished artists and writers found colleagues and cafes, and tourists discovered the Paris of their dreams. Major figures on the Paris scene such as Gertrude Stein, Jean Cocteau, Picasso, Stravinsky, Diaghilev, and Proust continued to hold sway, while others now came to prominence including Ernest Hemingway, Coco Chanel, Cole Porter, and Josephine Baker, as well as Andre Citroen, Le Corbusier, Man Ray, Sylvia Beach, James Joyce, and the irrepressible Kiki of Montparnasse. 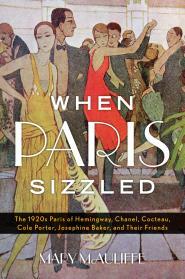 Paris of the 1920s unquestionably sizzled. Yet rather than being a decade of unmitigated bliss, this period also saw an undercurrent of despair as well as the rise of ruthless organizations of the extreme right, aimed at annihilating whatever threatened tradition and order; a struggle that would escalate in the years ahead. This program is free and open to the public. Call the Essex Library at 860 767-1560 to register or for more information. The Essex Library is located at 33 West Ave. in Essex. 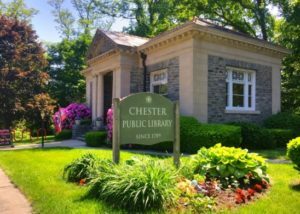 CHESTER — “Take Your Child to the Library Day,” this Saturday, Feb. 4, you can meet the Dog Whisperer, Helene Ferrari, from Sheltara in Chester, and her training dog, Bodie, at the library between 11 a.m. and noon. While you pet Bodie, Ferrari will share her secrets about how to care for a pet and the importance of training. Bring your questions and also, bring a picture of your dog to share. Before 11, you can hear stories about amazing dogs from Mrs. Applesauce, and sign up for your own library card. Pet crafts, dog treats and treats for humans too. 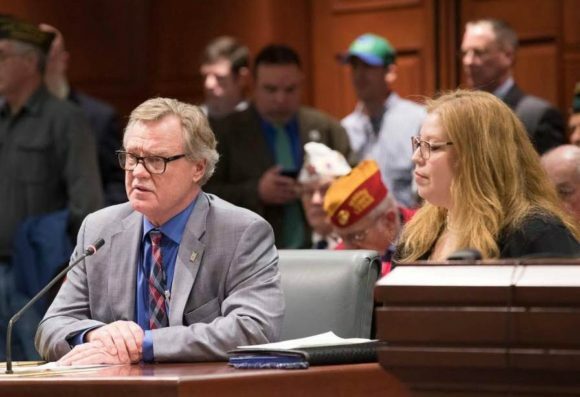 AREAWIDE – On Wednesday, Feb. 1, State Representative Bob Siegrist (R-36th) urged fellow lawmakers to reject Governor Dannel P. Malloy’s pension funding agreement and instead advised the legislature to assess alternative means by which to address the state’s growing pension system problems. House Republicans released data obtained from two actuarial analyses that show how additional steps can rein in the state’s unfunded pension liabilities. Both reports show how pairing pension finance changes with modifications to state employee benefits could increase the solvency of the state pension plan. “We owe it to the people of Connecticut and to our children to come up with a better option. 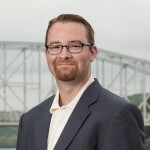 It is not fair for us to pass our problems onto future generations, we must be responsible and make difficult decisions to benefit to our state,” said Siegrist. The governor’s pension proposal sought to tackle a mounting budget deficit by reducing short-term state pension contributions. In exchange for leveling payments through 2047, taxpayers would be responsible for an additional $11 billion over the duration of the deal compared to the structure of the current plan. Furthermore, the deal recommends a reduction in the investment rate of return from the current eight percent to 6.9 percent. Many Republican lawmakers have suggested that making alterations to state employee pension benefits could reduce the unfunded liability by $200 million. If that sum were sent into the pension fund, actuaries estimate that the length of the new plan could be reduced by seven years and could decrease the additional liability from the projected $11 billion to $3 billion. The State House voted 76-72 to ratify the deal on a nearly party-line vote, while the State Senate voted 18-17 with the Lt. Gov. Nancy Wyman casting the tie-breaking vote in favor of the deal. The 36th House District is comprised of the towns of Chester, Deep River, Essex, and Haddam. Numbers seem to speak for themselves: France, which is the most visited European country, saw a decrease last year of almost 50 percent – equivalent to 84 million – tourists last year while website commentaries lament empty hotels, restaurants and museums. Thursdays are Terrific at the Deep River Public Library! Join the library for BABY BOUNCE, a lap sit for babies up to 24 months and their caregivers, followed by open play and social time. Older siblings may attend. No registration is required. Dates for this will be on the following Thursday mornings: April 6, 20, and 27. Starts at 10:30 am. **There is no class on April 13. Don’t forget FUN FRIDAY on April 7 and 28. Join us for Preschool Power Hour with stories and songs in an interactive setting, followed by open play. Starts at 10:30 am; open to all ages. ABC Amigos visits on April 21 at 10:30 am for a Spanish-themed story time. *There is no class on April 14. Brick Bunch meets from 3:45 – 4:45 pm for open Lego construction. This is a drop-in program. We now have large blocks for the younger kids!! Join us for a silly story time that celebrates underwear! No registration required. Best suited for ages 2-5, but all are welcome. Be Super! Get out your Superhero digs and join us for a special story time that celebrates caped crusaders and masked heroes! Best suited for ages 2-5, but all are welcome! 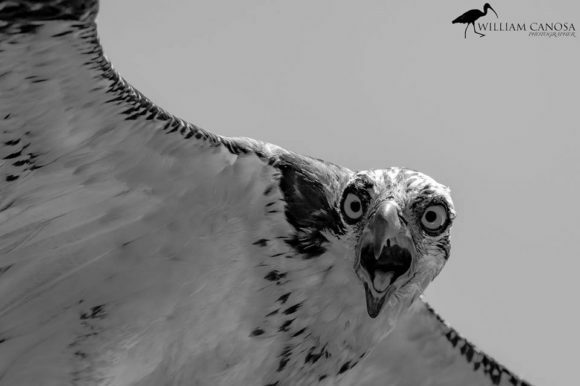 A striking photo of an osprey by William Canosa. AREAWIDE — Connecticut Valley Camera Club (CVCC) will host its next monthly meeting Monday, Feb. 6, at 7 p.m. at Lymes’ Senior Center, Town Woods Rd., Old Lyme. All are welcome to attend the meeting regardless of whether or not you are member of CVCC. The meeting will feature a presentation by local photographer, William Canosa. He will present and discuss how he captured his landscapes, plants and animals, insects, birds, and macro photography photos. Canosa will also discuss how to print what you see on your screen. 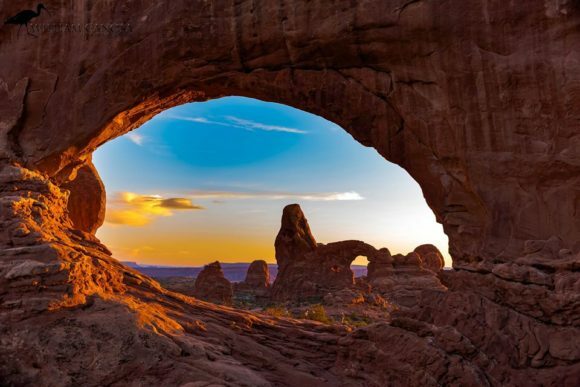 ‘Turret Arch’ by William Canosa. 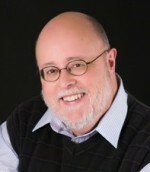 More examples of his photography can be viewed on his website at www.canosaphotography.net. In addition to his presentation, Canosa will display some print photos from an upcoming show in Milford where there will be a reception May 2, from 5 to 7:30 p.m. at Cafe Atlantique in Milford CT. The Camera Club’s meeting dates, speakers / topics and other notices are published on the club’s Facebook page at http://www.facebook.com/CTValleyCameraClubPage/. Congregation Beth Shalom Rodfe Zedek and PJ Library present a free event for children ages birth to 6 years of age. Children and their caregivers are invited to join Rabbi Marci Bellows as she leads an interactive hour filled with stories, activities and songs about Shabbat. For more information or to RSVP, call 860-526-8920 or send an email to belinda@cbsrz.org .